Pradip Dutta known for making controversial statements, issued the threat after a section of students of the Assam University raised their voice against the Citizenship Amendment Bill. GUWAHATI: BJP leader Pradip Dutta Friday courted controversy by threatening Assamese speaking students in Bengali dominated Barak Valley that their admission in the Assam University at Silchar would be barred if they protest against the citizenship bill. Students union of another university in Guwahati filed an FIR against Dutta for his provocative statement. Dutta, a local leader of the saffron party known for making controversial statements, issued the threat after a section of students of the Assam University raised their voice against the Citizenship Amendment Bill. "I warn the Assamese (speaking) students of the university that you study only and don't indulge in politics. Think about the future. We then will be forced to bar admission of Assamese students in the university," Dutta was heard saying in local news channels. "I am writing to the vice-chancellor of the university asking him what step he is taking against the students for opposing the bill", Dutta said in Bengali. Cotton University Students Union (CUSU) in Guwahati filed a complaint in Pan Bazar police station here against Dutta for making the communally provocative statement threatening Assamese students in Assam University. The CUSU said in the complaint Assamese students in that University were suffering from insecurity following Dutta's threat and, demanded appropriate action against him. 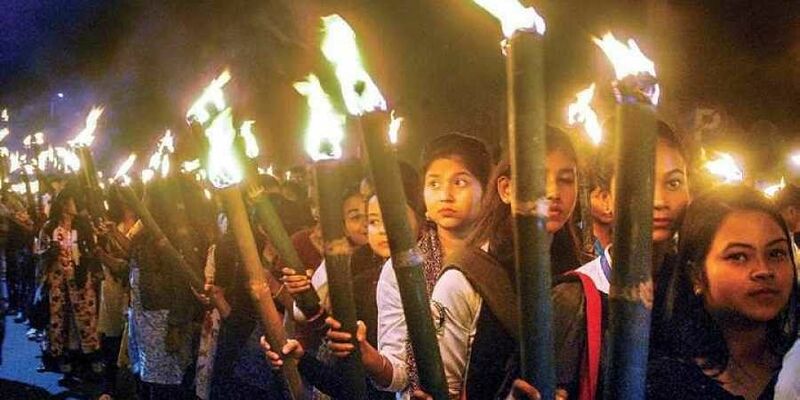 Reacting to the Dutta's statement, AASU General Secretary Luringjyoti Gogoi said, "Such threats are attempts to take away the rights of Assam's students in a democratic country to study in any part of the state. It will not be tolerated". "Because of such divisive statements to polarise the society, five people had lost their lives in Assam recently," Gogoi told reporters. He was referring to the gunning down of five Bengali speaking men in Tinsukia district by suspected ULFA-Independent militants on November 1 last year. Gogoi said, "It is surprising and reprehensible that the government has failed to take any action against Dutta. If there are any reaction to Dutta's threats, the government will be held responsible." Several organisations, including the Students Federation of India (SFI), the students' wing of the CPI(M), have condemned Dutta's threat. A section of students of the University on Thursday came out in support of the Bill, while another had taken out a candlelight vigil on Wednesday to protest against it.